5 ways to improve your Blood Pressure Naturally! Home/Integrative Medicine/5 ways to improve your Blood Pressure Naturally! According to the New 2017 guidelines by 9 different organizations, including the American Heart Association, blood pressures parameters have now all changed! Stage one blood pressure was once diagnosed at 140/90, but now stage one hypertension will be diagnosed earlier at 130/80 affecting more people. It is believed 14% more new patients will be diagnosed with blood pressure according to these guidelines mainly affecting a younger and middle aged population. 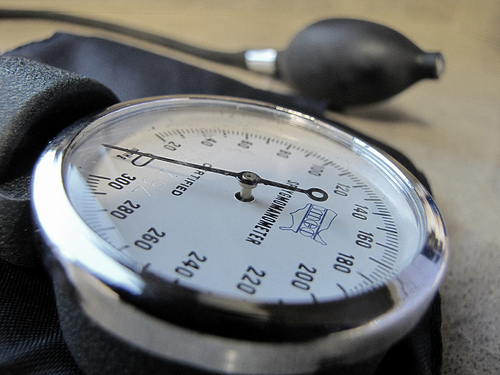 How can you treat your blood pressure naturally? 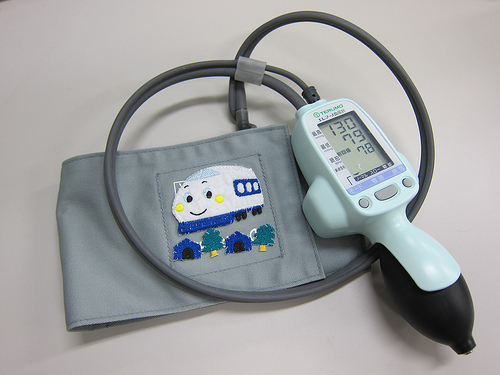 Here are some tips to help you get your blood pressure goals where they need to be! I encourage patients to stick to a DASH (Dietary approaches to stop Hypertension) as well as Mediterranean diet which includes a low sodium diet, diet rich in fruits, veggies, low fat dairy and low saturated and trans fats. Getting adequate antioxidants through a variety of fruits and vegetables is very important. I always tell patients they should be eating veggies 3 times a day at every meal targeting about 7-9 servings for vegetables and fruits/day (vegetables more than fruits). Eating a diet rich in plant based fibers up to 35g/day also improves over all blood pressure as well as flax seed and diet rich in omega 3 fatty acid including walnuts, salmon and eggs. Getting antioxidants through cocoa or dark chocolate helps too although white chocolate does not affect your blood pressure in the same way. Incorporating olive oil and substituting hydrogenated butter is also beneficial at lowering your over all blood pressure. Learn more about the Mediterranean Diet here! There are many supplements that aid in improving blood pressure over all but I always caution discussing them with your physician first since some supplements may interact with other medications. Also as much of a fan that I am of treating patients naturally, there are some indications where pharmaceutical medications are necessary and when blood pressure levels are not near target after trying “natural” remedies, we do need to look into other options. Cooking with garlic is ideal for preventing and improving over all blood pressure however you have to eat a lot of it to reap the benefits. The raw dosage garlic dose is starting off with 1/2 clove a day working your way up to 2 cloves/day. That may be harsh for some. A good supplemental dose is 4000mcg of allicin or 1.2mg of S-allylcysteine a day. Lower dietary magnesium levels have been linked to high blood pressure. Magnesium intake reduces blood pressure. You need to have your physician check your magnesium level through via your RBC for optimum levels. A good starting dose is 200mg/day and then increasing slowly til about 600mg/day as tolerated. Magnesium can upset your stomach and too much of it can cause diarrhea. Coq 10 is a potent antioxidant and improves blood pressures. Medications like stains and beta blockers deplete the body from naturally producing coq 1o. A good dose is 200mg/day, however accurately checking coq 10 serum doses in the blood is key for optimal improvement. Most of my patients are all vitamin D deficient. Make sure your vitamin D levels get checked regularly and that you are not in the “normal” range but rather between 50-80ng/ml. Studies have linked low vitamin D levels to elevated blood pressure. This is a quick fix, by either taking a weekly dosage of Vitamin D3 or a daily dose prescribed by your doctor. A good rule of thumb is to make sure you’re taking about 2000 IU vitamin D3/day especially in winter. Weight loss and exercise are sure to bring blood pressure down. A 10lb weight loss via diet and exercise can reduce blood pressure significantly. I’m a big advocate of yoga for helping improve blood pressure. Yoga helps you not only tone up, lose weight but also calms the mind which are positive for blood pressure. There are many different types of meditation that exist. You have to find a meditation practice that works for you. The most common studied is Transcendental meditation in reducing blood pressure. But whether is mindfulness, kriya meditation, raja yoga, guided imagery or any others, they are all beneficial over all in reducing your cortisol levels, stress levels and improve your blood pressure numbers! All of my patients know that I love telling them about Dr. Weil’s famous “4-7-8 Breathing technique” This helps calm your mind, reduce cortisol and in 5 minutes after doing this exercise your blood pressure reading is different. You inhale for 4 breaths, hold for 7 breaths, and exhale through your mouth for 8 breaths slowly. You can do up to 4 rounds at a time and about 2 times a day. It’s great for changing your mood, dynamic but especially blood pressure.